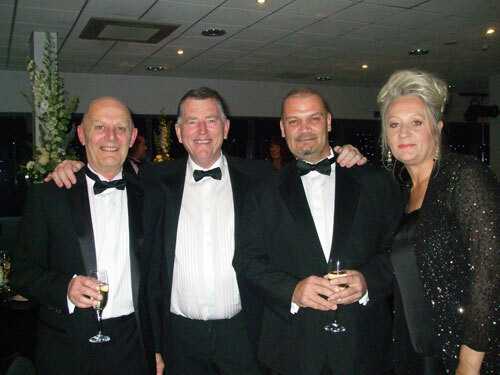 SOS are pleased to announce that we have won 3 awards at the Burton Mail Business Awards 2013. We are overwhelmed with the response we received at the Burton Mail Business awards and are thrilled to have won such prestigious awards. SOS would like to say thank you to the local suppliers who have worked with us over the years, our clients both new and old and SOS staff who have helped make all of this possible. The company has experienced massive growth since it’s formation 33 years ago. In 1975, SOS founder and current managing director Gordon McQuilton spent 5 years working for Derby Royal Infirmary at the Orthotics Research Centre. He worked on several projects including the first ever prescribe-able custom moulded special seating system on the NHS. It was named the Derby Moulded Seat. Once the research project ended in 1980, Gordon founded SOS as a company set up to provide the Derby Moulded Seat (MSI) to the NHS. Today SOS has nearly 100 employees providing specialist seating equipment across the United Kingdom. 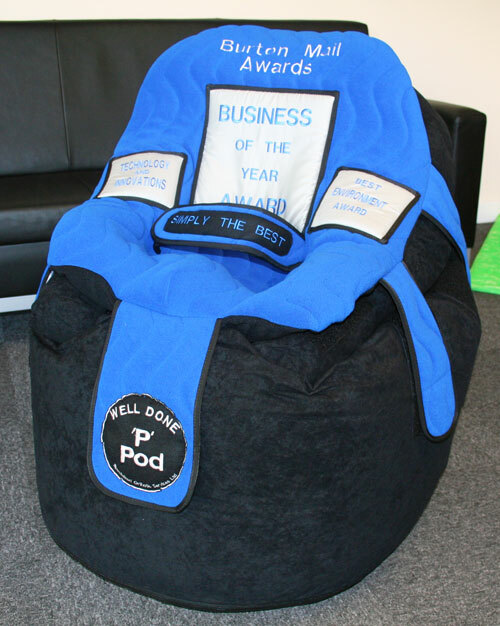 To commemorate the occasion, a special P Pod has been made featuring the award titles. The words ‘simply the best’ and ‘well done’ sewn into the strap and logo. As well as winning business of the year Specialised Orthotic Services were awarded with the Environment award and Best use of Innovation and Technology. As a company that has experienced massive growth since 1990, we have had to work hard to keep up with the emerging technology and the ever increasing need to reduce our impact on the environment. SOS operates to ISO 9001:2008 Quality Standard and ISO 14001:2004 Environmental standard. We have invested in a rain harvesting system, significantly reducing the facilities water requirements. All of the company’s waste is sorted before collection for recycling and correct disposal. This included investment in a waste crushing machine. We also support the Cycle to work scheme offering all staff this option. At SOS, the research and development doesn’t start and end in house, we include client feedback in our design process making our products out of need. New products are tested and quality checked during development and usually loaned out to clients for testing in the field. We are moving away from traditional methods of manufacture. Most specialist seating is made using a plaster cast of the client’s posture. We are researching the possibilities of using digital scanning and new materials to completely revolutionise the way special seating is created. By investing in the latest technology we have been able to maintain our 4 week assessment to supply cycle. Where possible we pride ourselves on using local suppliers for components and services. As part of our membership of the Burton Chamber of Commerce, we have helped keep trade within the East Midlands. This is great for the local economy and gives us greater flexibility in a demanding market. SOS would like to say thank you to all our suppliers, staff and clients who continue to support us and enjoy using our products on a regular basis. Follow us on Twitter and Facebook to keep up with our activities.